CATALINA ISLAND — Wine aficionados are invited to sail or power over the 20th annual Catalina Wine Festival hosted by the Catalina Island Women’s Forum, Sept. 19. Enjoy wine samplings from more than 70 wineries with Avalon Bay as your backdrop. Gourmet hors d’oeuvres will also be a feature of the event along with live music and a silent auction. Since its inception, the event has raised funds for mentoring and scholarship program for the Lady Lancers of Avalon School. All proceeds benefit the organization’s charitable programs. Catalina Island Women’s Forum, a nonprofit organization, is driven by a goal to create a community of women who support and encourage one another. The forum supports and assists women of domestic violence and provides mentors and scholarships for junior and senior high schools girls in Avalon. This year the mixer will take place in the sand so a show check will be available for those in heels. Sandals are the recommended shoe of choice. 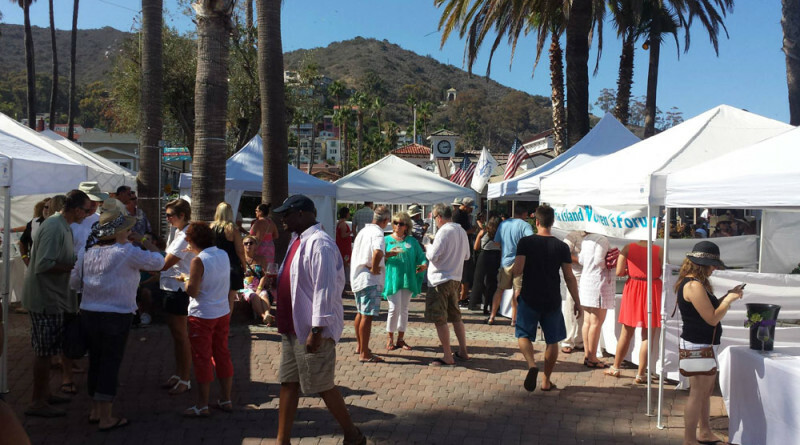 The Catalina Wine Festival will run from 1-5:30 p.m. at Avalon’s South Beach located near Crescent and Clarissa avenues. Visit tinyurl.com/nznqqhy for more information or to purchase tickets.